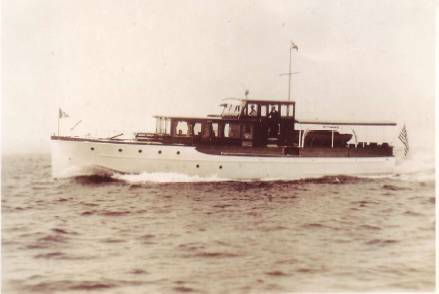 During World War II the Office of Strategic Services acquired a number of cabin cruisers to conduct maritime training operations in the Washington, D.C. area, referred to by the OSS as Detachment "D"on the Potomac River. Two such vessels were the MARIBEL and the MARSYL. Using Coast Guard Captain of the Port (COTP) authority, the OSS was able to license these "cruisers," obtain slots at local marinas and yacht clubs when up in the D.C. area, and receive special COTP protection for their maritime training missions. Because the Coast Guard and the Navy had acquired many of the cabin crusiers suitable for service at the beginning of the war, the OSS had to conduct an extensive search to identify vessels between 70-90' in length to prepare for their maritime training mission. 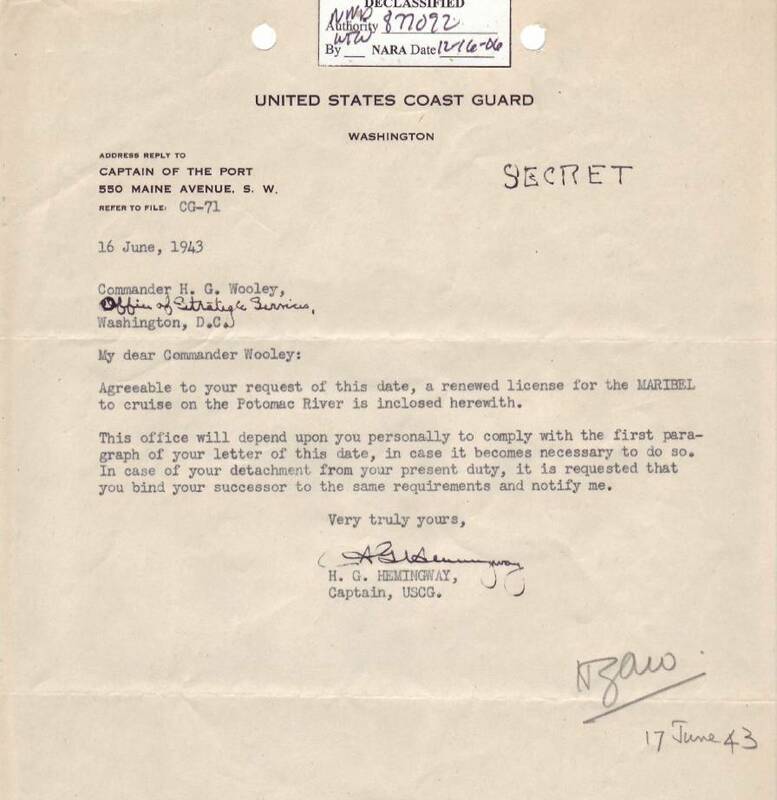 According to the correspondence obtained form the declassified OSS files at the National Archive, this process to identify vessels for OSS Detachment "D" began around October of 1942. 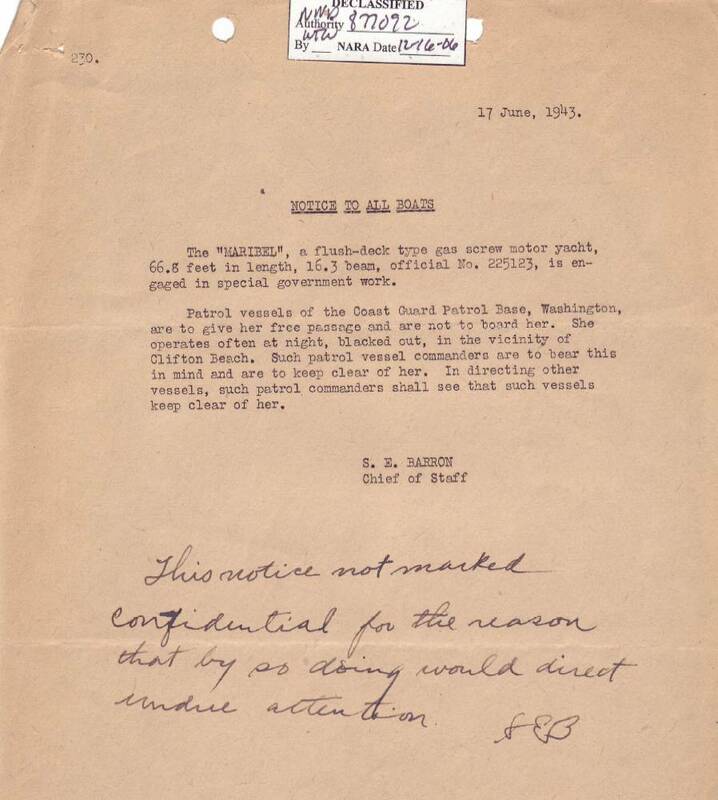 As noted in an "inter-office OSS memo" between LT Glenn (USN/OSS) and Mr. Gilpatrick (OSS civilian) dated 14 July 1943, it apprears that in addition to the special maritime training at Detachment "D", the use of a radio set up called a "Buzzer Set" was requested for "code training." Coordination between the Coast Guard Captain of the Port, Captain H.G. 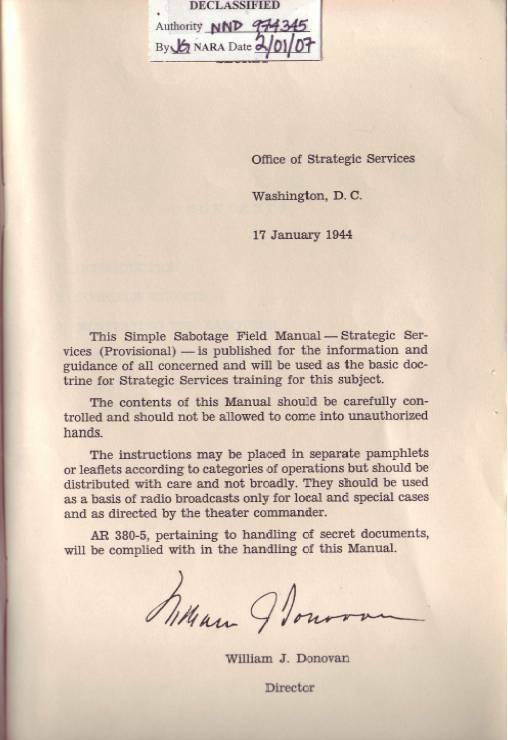 Hemmingway, and OSS Detachment "D" began in June 1943 in order to coordinate the special protection zones required for maritime training. The MARIBEL remained as a training platform for Detachment "D" until 15 January 1944 when it was returned to its owner. 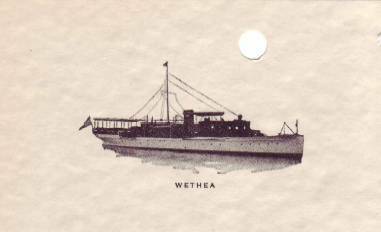 Other vessels such as the WETHEA and SPINDLE (photos/documents on right) were also considered for service for Detachment "D" but the record is not clear on whether they were ever placed in to service for the OSS. In this photo from AREA D, are John Spence (USN), “America’s First Frogman” (1Q2000 BLAST), and kneeling directly in front of him is LT Jack Taylor (USN), the first true American sea-air- land commando (3Q2002 BLAST)." According to the Naval Special Warfare Foundation, "John Spence was the first to train with the Lambertsen Lung (2Q1997 BLAST), and deployed with “L-Unit” to England for planned operations in France, which never got executed. LT Taylor trained with the swimmer group and was the first to swim a mile underwater with the Lambertsen breathing apparatus. Before deploying with L-Unit, however, he was sent to the Mediterranean Theater as head of MU to set up a clandestine boat infiltration operation." 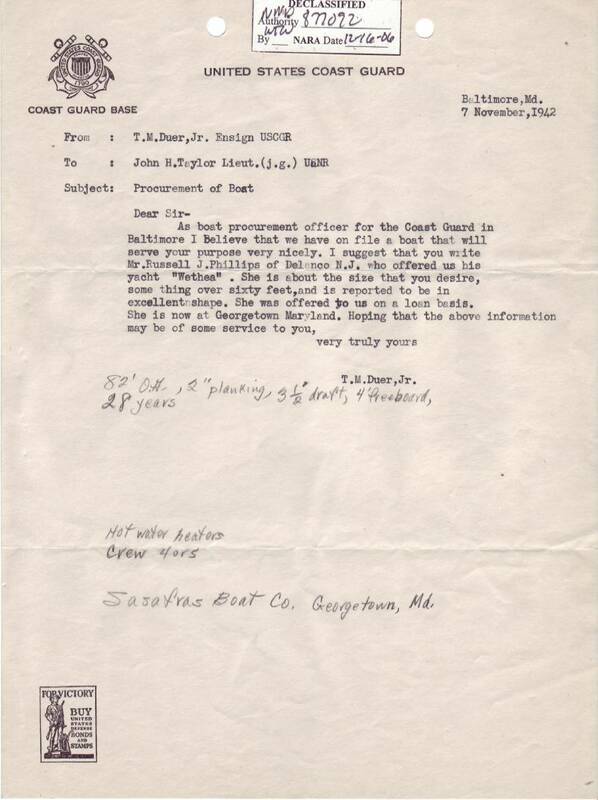 Analysis of decalssifed records from the OSS Archive (RG 226), indicate during his time at AREA D, LT Jack Taylor (USN) was responsible for coordination with the United States Coast Guard to identify vessels suitable for service by the OSS Maritime Unit for training on the Potomac. Based on the date of the photo and additional archived records, the vessel in the background of the photo is possibly the MARIBEL or MARSYL. The Coast Guard provided the necessary documentation and security which enabled the MU to conduct clandestine maritme training and pioneered new equipment and methods in the maritime environment that were exported to numerous theaters, but primarily employed to the Mediterranean and China, Burma, India. This is one of the only known photos of AREA D on the Potomac. 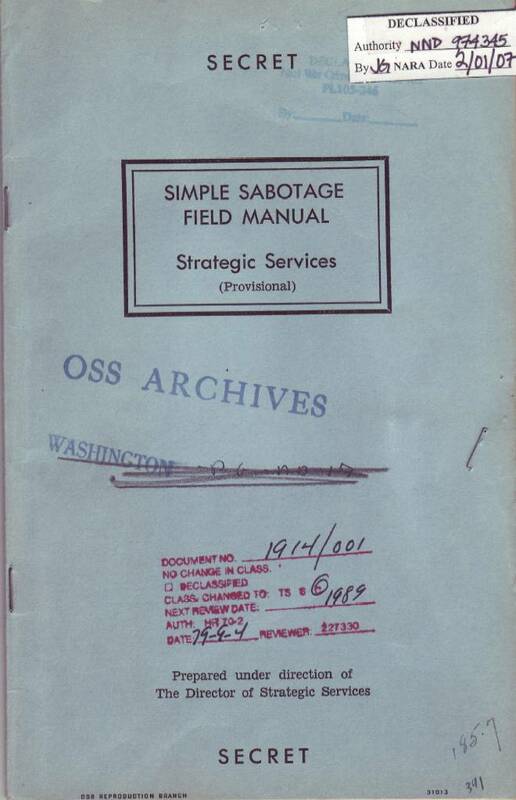 The Simple Sabatoge Field Manual was used by he OSS Maritime Unit and Operational Swimmer Groups to become proficient in the use "tools, timing, and targets" in the conduct of sabotage operations. to train and prepare for Sabotage Operations. 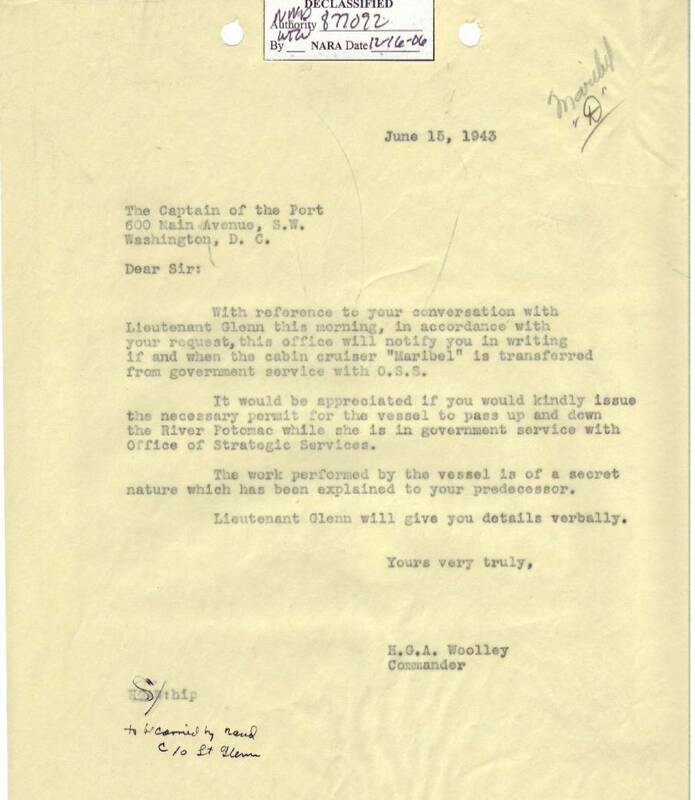 Letter from Commander Woolley (OSS) to the Coast Guard Captain of the Port (COTP) requesting support.